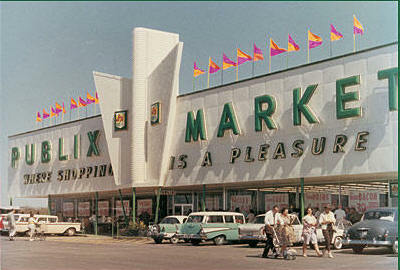 WorkCompCentral published a story Wednesday on Boston v. Publix Super Markets, No. 4D11-1521. regarding the Florida 4th District Court of Appeal, which ruled that a Publix supermarket employee who ran over a coworker while backing up a company truck may be held liable to his coworker’s widow in tort. In a unanimous panel decision under Judge Martha Warner, the 4th DCA said the existence of triable questions as to whether Edgar Javier Ramos was “grossly negligent” leading up to the death of his friend and coworker, Keith Jackson, meant that Ramos would not be entitled to the protection of workers’ compensation immunity. The back-up alarm on Ramos’ tractor was not functioning when Jackson walked behind Ramos’ trailer as it reversed, getting caught between the trailer and the loading dock. After his death, OSHA issued a citation against Publix for the malfunctioning back-up alarm. Jackson’s widow, Chalunda Boston, sued Publix and Ramos, claiming wrongful death. Publix and Ramos both asserted workers’ compensation exclusivity as a defense. Under Florida law, employers are immune from workplace injury lawsuits unless it can be shown that the employer’s conduct would undoubtedly result in injury or death. This immunity extends to employees unless the injury or death of is caused by unprovoked physical aggression or gross negligence. Being that there was no evidence of prior accidents at the Publix warehouse involving a non-functional back-up alarm, Warner said that Publix had no reason to have known of the danger that such an accident could occur. However, Warner noted the standard of proof is not as high for Ramos, and a coworker can be held liable if the coworker engages in an act that a reasonable person would know could likely result in injury. Since Ramos was aware of the broken back-up alarm, and he could not see the area directly behind his tractor, Warner said a jury could find Ramos’ conduct to fall under the level of gross negligence. “The decision breaks no new ground,” Kagan opined, “but it revisits a seldom seen facet (of comp law)” in addressing the exceptions to exclusivity. He pointed out that Florida’s statutes have “some incredibly powerful language to protect the employer,” but “the language that protects a co-worker is different,” and the court obviously recognized the difference. But where the case is really potentially helpful for employers, Kagan said, is in its discussion on the public policy behind why employers are entitled to such protection. While the underlying premise of the system of American jurisprudence is based on the principle of letting everyone have their day in court and most of the time summary judgment is looked on with disfavor, Kagan explained, the comp system is different. Exclusivity is “supposed to protect employers from litigation from day one,” he said, so this decision is a reminder that “the public policy is for summary judgment” when exclusivity applies. “The nice little jewel from this case,” Kagan said, was the “gatekeeper” language. He said he emailed this snippet of the decision to all of the attorneys at his firm as a potentially useful reference for future cases. Most states recognize an exception to workers’ compensation exclusivity for severe misconduct by an employer that leads to a workplace injury, but the standard is similarly difficult to meet.